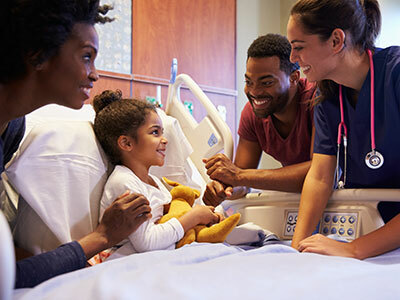 With mucosal barrier central line-associated blood stream infections (MB-CLABSI) posing a serious risk to cancer and other immunocompromised patients, Children’s National Health System was intent on finding a way to prevent them. Through a focused initiative led by Rose Szeles, M.S., R.N., N.E.-B.C., director of nursing for the Center for Cancer and Blood Disorders, the hospital experienced great success, cutting infection rates by more than half. This was a daunting proposition. Historically MB-CLABSI has not been viewed as a preventable infection due to the side effects typically associated with bone marrow transplants in this patient population. Sores and mucosal disruption that develops in the oral cavity post-transplant are fairly common and make it exceedingly difficult to keep the mouth clean and clear of bacteria. Without regimented oral hygiene in this type of environment, the mouth can quickly develop bacteria putting the patient at risk of a MB-CLABSI. In 2013, Children’s National launched a MB-CLABSI prevention program focused around saline rinses to improve oral hygiene. The goal was to keep the mouth cleaner to avoid bacteria from forming and ultimately entering the blood stream. 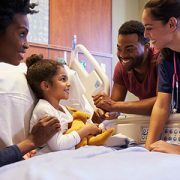 “Through strategic programs like this, our patients are safer and Children’s National continues to be a national pediatric quality leader,” says Dr. Shah.